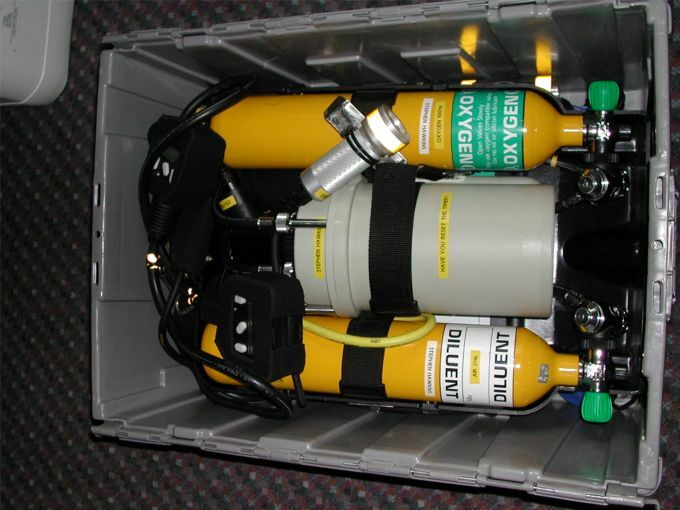 This page shows a few solutions on transporting the Inspiration Rebreather. 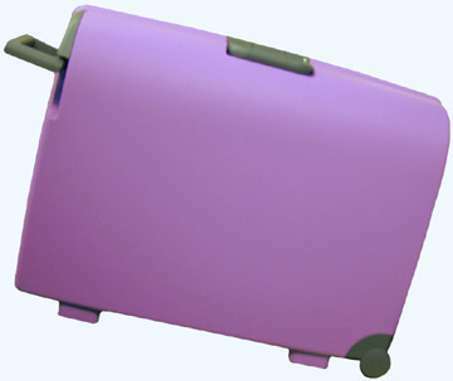 For sure there will be more possibilities, so please let me know if you found another case or transport method! 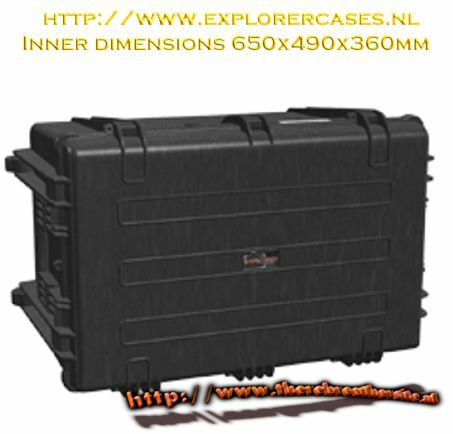 External dimensions 710mm x 460mm x 370mm = ~ 27.95" x 18.11" x 14.6"
Recent ontving ik van Stephan 'Mad Mole' Hawkins informatie over een nieuwe inspiration kist. 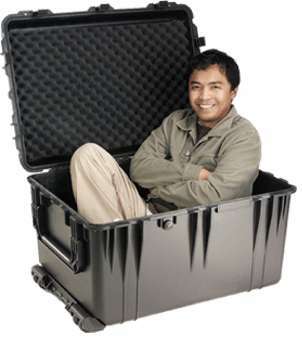 Deze grijze kist is iets groter dan de groene 'oude' uitvoering. 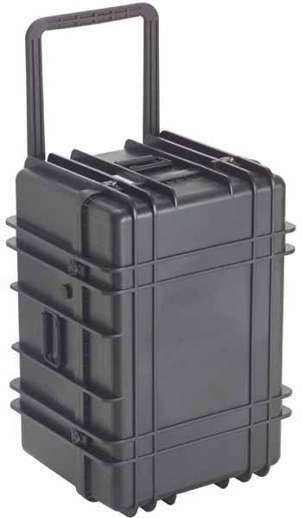 The Diver�s Companion, the new revolutionary integrated storage and transportation system designed for divers equipment, in both the leisure and commercial industry. 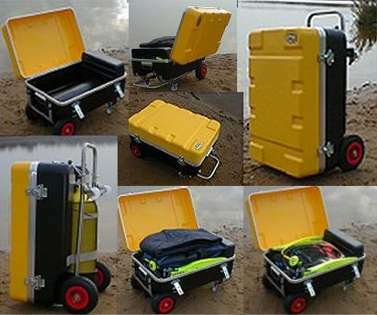 Diver�s Companion, is aimed to improve the diver�s welfare and the containment and management of essential diving equipment. 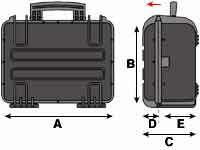 Features incorporated are lockable equipment storage/handling case for the storage of divers equipment. A 316 stainless steel trolley with adjustable handle for transporting scuba air cylinders with pneumatic wheels, lockable castors & quick release air cylinder retaining strap. 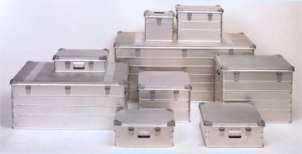 A very large program produced by Zarges, they make cases in almost every dimension. 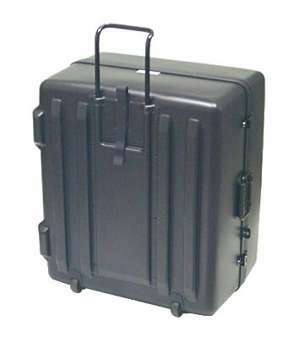 New Jumbo Size Case (Model #1660) Pelican's newest equipment protector case will protect heavy or large equipment from severe handling in all weather. 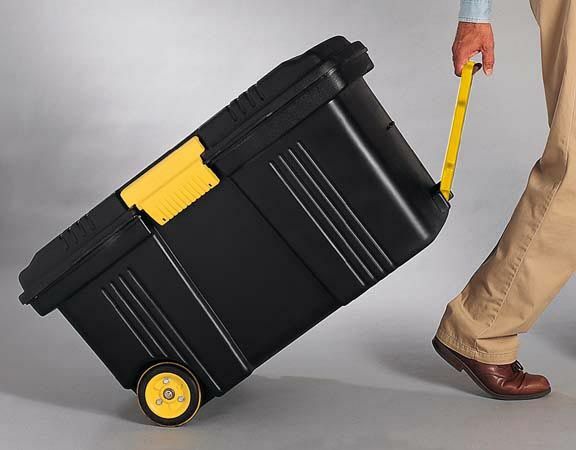 The #1660 is the largest Pelican Case made and features reinforced rounded bumper corners, rigid wall technology, locking flanges, massive multiple latches, dual 50mm hard rubber wheels and retractable extension handle. 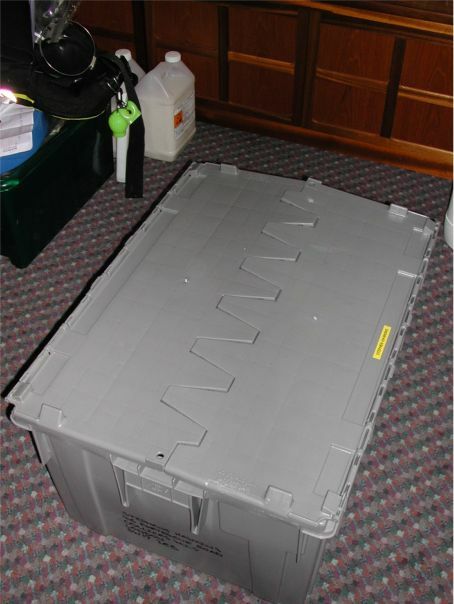 Available with full foam (#1660) or 2-tier modular padded divider set (#1664). Colour: Black only. 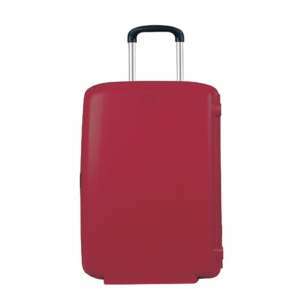 Approximate Outside Dimensions: 80cm L x 58cm W x 48cm D.
The unit is made with wheels and handle. Size 37" x 21" x 20". Bob, thanks for your input!